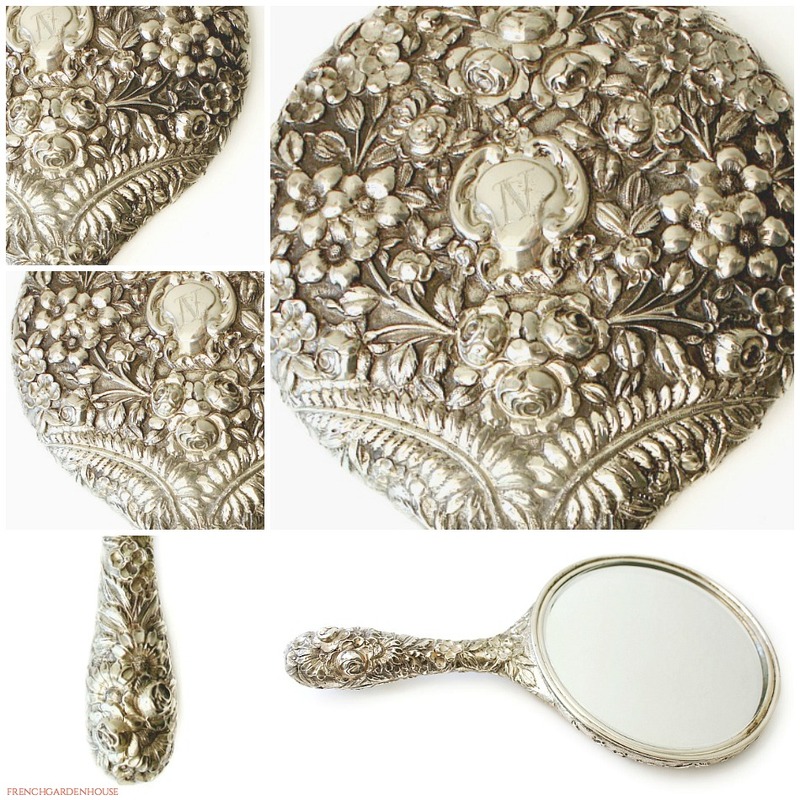 Exceptional Sterling Silver Hand Mirror, with a stunning aesthetic decorative floral design of flowers, ferns, beautiful leaves, and swirls. One of the prettiest mirrors I have ever seen, the design is elegant, feminine and romantic. 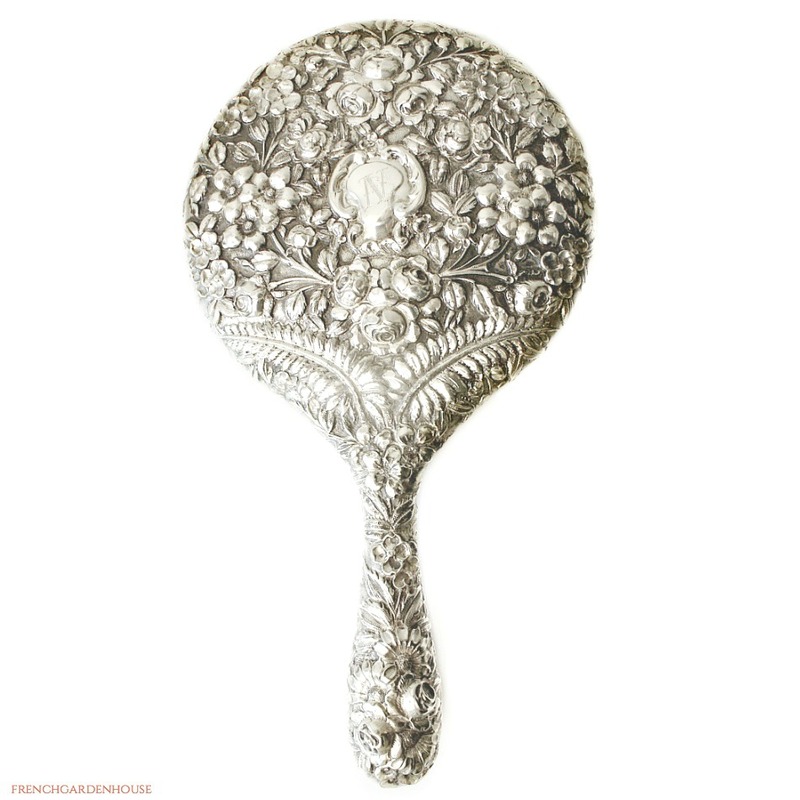 Made by the Schultz Silver Co. Of Baltimore, in the late 1800's, perfect to display on your dressing or vanity table, your boudoir, your guest bath or to add to your collection of Victorian sterling. 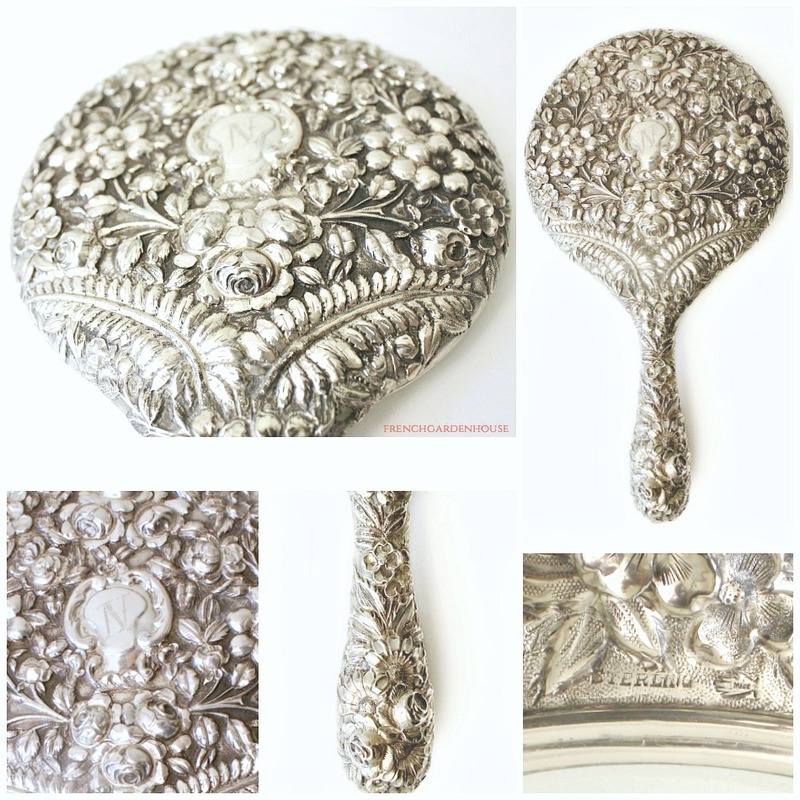 In the center of all that beauty, a monogram N. The original beveled mirror is in good condition, with some surface scratching and some minor wear as is to be expected from antiques over 100 years old. 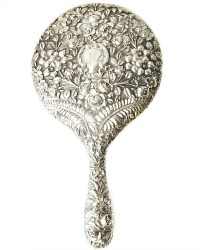 This is American silver at its best, a luxury piece of the highest standard. Marked Sterling and with the Schultz Mark. Very good condition, no dents to the repousse design, a luxurious treasure. Measures 11~3/4" x 6~1/4" x 1~1/4".